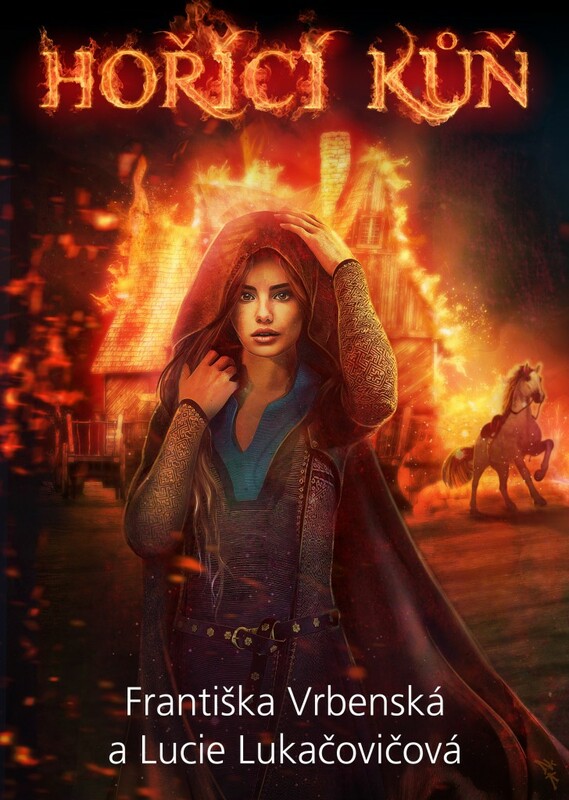 This classic historical fantasy contains everything you could wish for – beautiful women and beautiful horses, battle scenes, brawls, blood, sweat, adventure, ancient cities and, of course, a dreadful, terrifying sorcerer. The novel The Burning Horse successfully draws on the atmosphere of Arabic Spain of the 11th century when Islam and Christianity clashed with Iberian culture while Viking raiders sailed down from the north… The country has been carved up into small kingdoms whose rulers are constantly vying for territory, influence and wealth. This gripping story follows the love affair between the initially naïve Basque archer Iranzu (who renounces his military career to save his mortally wounded horse and sets out on a risky path as a horse thief) and an orphaned squire’s daughter, Brisca, an honourable servant who refuses to bend to the will of a demon to save the boy she loves from certain death… But there are also many other complex, interweaving subplots. Both of the main characters unwittingly become involved in the high politics of kings and sorcerers and find themselves never far from death in this turbulent land. The fates of all the characters are wickedly manipulated by the unpredictable demon Spin de Mul. Naturally, there is no shortage of action in The Burning Horse, but the central theme is the romantic suffering of the two main characters, set against the background of the constant scheming and warring of mighty lords. The story, with its surprising denouement, is rounded off by a dictionary since the text is peppered with words from different languages, including Arabic, Aragonese and Basque. Františka Vrbenská is a librarian and author of academic articles on history, cultural anthropology and literature and has won a number of prizes for her literary and teaching work. She publishes short stories in magazines and anthologies and has written several novellas. Her essays and literary studies complement her short-story collections and novels. She contributes verse to poetry anthologies and created the poetry collection Instrukce k věčnosti (Instructions for Eternity, 2017) with Olga Nytrová. As an editor she was involved in the unique project Lehké fantazijno (A Light Fantasy) by the Czech studies scholar and writer Zuzana Hloušková – a four-volume anthology introducing female Czech and Slovak fantasy authors. She is a member of the Klub autorů literatury faktu (Club of Authors of Non-Fiction). Lucie Lukačovičová (b. 1980) is an award-winning Czech author of historical fantasy, urban fantasy, steampunk and science fiction. She studied cultural anthropology and librarianship at Charles University in Prague and enjoys travelling and collecting myths, legends, tales and ghost stories. Lukačovičová is the author of more than one hundred short stories in anthologies and magazines, and four novels. She has published works in English: the steampunk fantasy novella Spark of Thought (2016) and the loose sequel Spark of Eternity (2017). Her short stories have also been published in Romanian, German and Chinese.